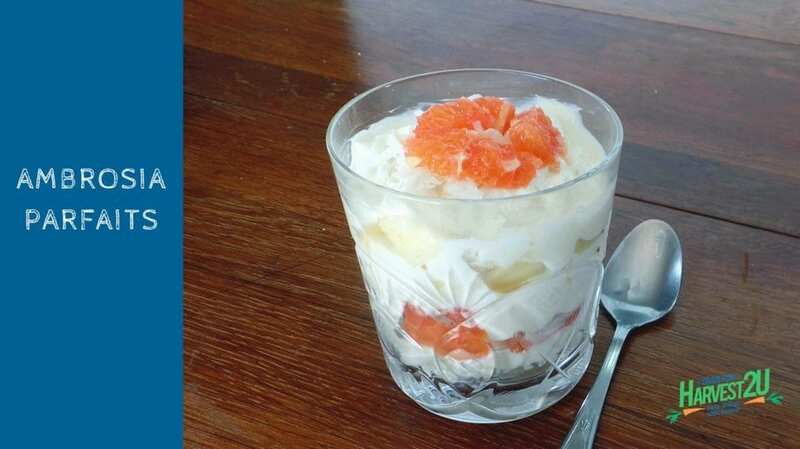 The Ambrosia Parfaits (& Salad) of my youth was a concoction of canned fruit cocktail, coconut and marshmallows covered in whipped topping. This version is just as delicious but so much healthier. The amounts below are approximate. You can add grapes, pineapple chunks, sliced strawberries, etc. depending on what is in season. Mix it as a fruit salad if you don’t want to layer it into parfaits. Peel fruit and cut into bite-sized pieces. Combine yogurt and honey. Repeat to the top of the glass. Decorate with a little coconut and bright fruit on the top.